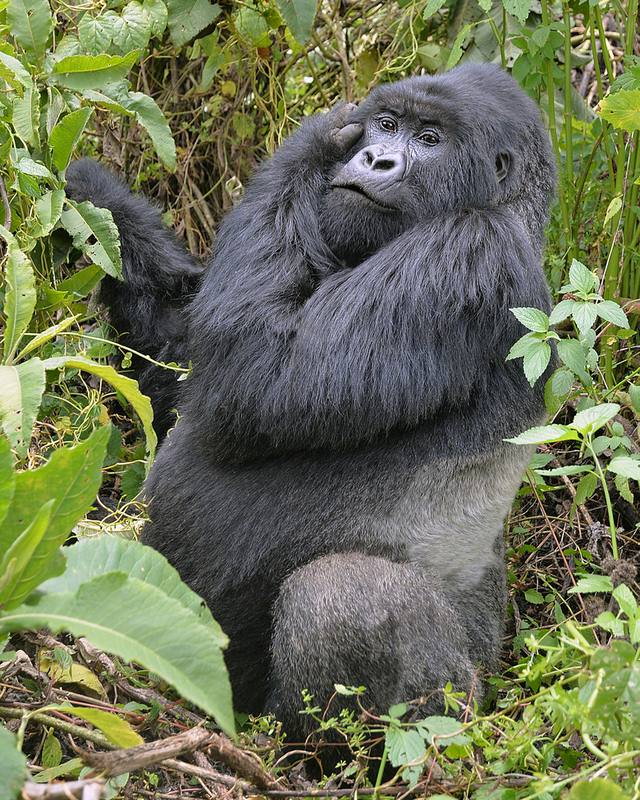 This week we selected a silverback mountain gorilla striking a pose. Photographer Benjamin Thomas took this photo in Rwanda at Volcanoes National Park. After trekking for over nine hours through thick mud, dense brush, bamboo forests and stinging nettles his group located a family of gorillas.